It was late 2006 when rumors of Apple’s cellphone based on its wildly popular iPod started hitting the internet. The first iPhone was announced on January 9, 2007, and introduced to the United States of America’s market on June 29 of the same year exclusively on AT&T. Today, customers can get an iPhone on three of the US’s major carriers: AT&T, Verizon, and Sprint; however, back in 2007 and up to Verizon’s announcement of reaching a deal with Apple January 2011, 4 years later, many speculated that Apple and AT&T had an exclusivity agreement. Whether or not the two companies did have such an agreement is moot. The iPhone single handily kept AT&T alive and skyrocketed Apple’s iPhone into pop culture history. There was a side effect to this success though. In the background, Google’s Android OS was brewing as a multi-channel, multi-carrier OS that would offer developers flexibility. In October 2008, almost a year and a half from the release of the first generation iPhone, the HTC Dream, the first phone to run Android, was released on T-Mobile in the US. It was here that the seed known as Android would soon sprout into a strong tree with 59% of the world’s smartphone market as of the first quarter of 2012 (comScore shows a 50.8% adoption rate in the US for Android as of April 2012). 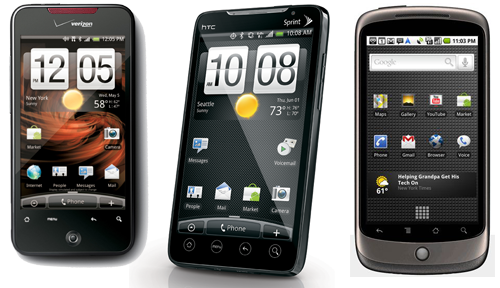 Android soon moved beyond just T-Mobile and expanded itself to other carriers with Verizon’s Motorola Droid in October 2009 and HTC’s Droid Incredible in April 2010 and Sprint with HTC Hero in June 2009 and HTC’s EVO in June 2010. 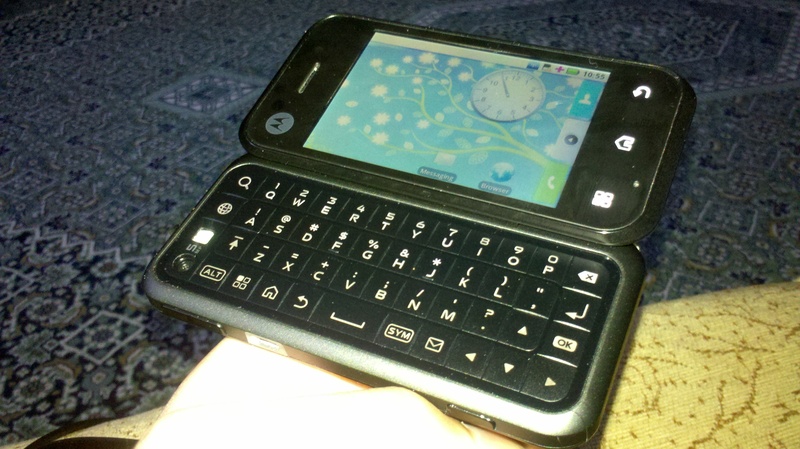 AT&T with its powerhouse iPhone did not readily adopt Android phones into its line up, offering mid-tier devices such as the Motorola Backflip, which served the needs of customers who wanted a QWERTY keyboard, in March 2010. This was perfectly fine by AT&T customers who flocked to Apple’s iPhone. However, customers on the other carriers had no access to the iPhone unless they switched to AT&T. For some, this was not an option because they did not get network coverage on AT&T in their area. For others, it was a matter of cost. AT&T and Verizon have the pricier plans of the four major US carriers and these customers just could not see themselves switching to AT&T just for an iPhone. Many waited for the day the iPhone would become available on their carrier of choice, but these people became impatient while waiting. A growing number of people; especially young people, wanted access to the internet on the go, which was one of the main appeals of the iPhone. The answer to all of these people was Android. Android’s non-QWERTY phones offered a similar experience to Apple’s iPhone at first glance. Here were phones with a large touch screen and the ability to download apps from the Android Market (now the Play Store) and arrange the app icons into a grid similar to the iPhone. Some were obviously attracted to QWERTY keyboard versions of Android phones because they did not like touch screen keyboards. In Android, people found a choice and an alternative to the iPhone for their carrier and to their tastes. I remember when I was looking for a phone similar to the iPhone (my older brother had bought an iPhone at launch for full price) while on Verizon back in 2007, I could not find anything similar. Instead, I ended up with a LG Venus that featured a small touch screen, but a touch screen none the less. By the time 2010 rolled around, I was eligible for an upgrade and, after hearing rumors of Google’s Nexus One coming to Verizon, waited impatiently for a new phone. When news came that the Nexus One would not be coming to Verizon after all, I ended up looking at HTC’s Incredible and researching the benefits of Android versus iOS. I indeed ended up buying an Incredible because HTC’s Sense clock widget really appealed to me and Android offered the same functionality in a OS I was looking for while keeping me on Verizon. I’m sure many felt this way and adopted Android. 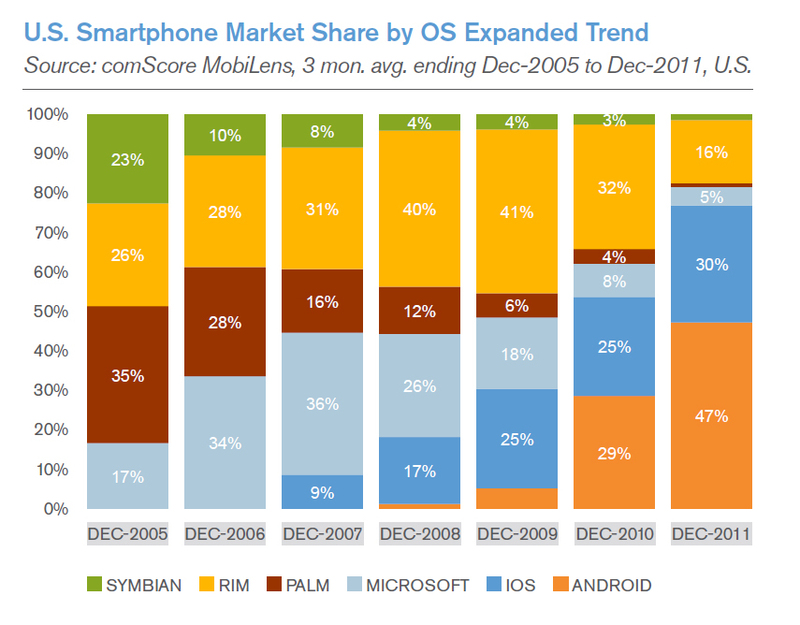 Android quickly rose to dominance, accounting for 47% of the US smartphone market by the end of 2011. It’s an interesting thought experiment to wonder what things would be like if Apple did not launch the iPhone exclusively on AT&T. There’s no question that people love Apple’s iPhone and that its release on Verizon and Sprint were met with high sales. 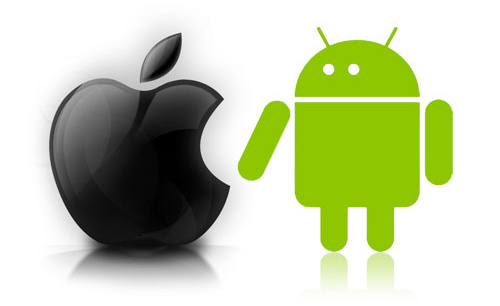 Would an iPhone launch across multiple carriers have curbed Android’s growth? I have a feeling it definitely would have since more people would have bought into iPhone first. Instead, people bought an Android phone and some even fell in love with the OS and its capabilities. I’d be remiss if I didn’t say others just hated the Android experience and jumped to the iPhone experience as soon as possible. There is no way to go back in the past to prove for a fact that iPhone’s exclusivity allowed Android to dominate the smartphone market, but one thing is for sure: this two horse race is only going to intensify in the years to come. Apple’s WWDC will be held tomorrow and should give iOS fans a preview of iOS6, the next operating system for Apple’s suite of mobile products. Even more rumors are swirling about Apple’s next iPhone, which I have dubbed “new” iPhone or iPhone 2012. If rumors are right, this will be a big redesign of the iPhone, featuring a larger screen, something Android fans have been enjoying for years (no this comment is not meant to say, “haha Android > iPhone”). Google’s I/O Conference is also set for later in June on the 27th and rumors about a Google-branded ASUS 7″, Tegra 3 quadcore tablet and next Android OS, Jellybean (Android 4.1.0), are swirling around the tech blogosphere. Apple’s iPhone and Google’s Android have polarized fans for better or worse. Check out this post by Mike Elgan to hear his thoughts on why this is. Edit (8/16/2012): New evidence from the Apple vs Samsung case going on now shows 48% of customers who considered an iPhone ended up choosing an Android phone to remain on their carrier. The survey was presented in early 2011 before the release of the CDMA version of the iPhone 4 on Verizon. Of course, the survey and its methodology can be put into question, but it does give a glimpse into how Apple’s exclusivity with AT&T paved the way for Android and its current market dominance.